The UTPD stands ready to assist you at all times. If you see something, say something. 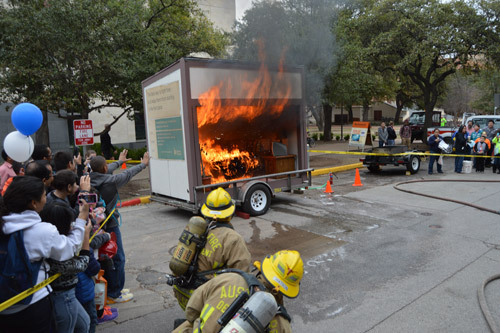 The University of Texas at Austin Campus Safety provides Emergency Preparedness, Environmental Health & Safety, and Fire Prevention Services, along with other public safety services to create a safe and secure environment for university students, staff, faculty, and visitors. This unit analyzes, prepares for, protects from, and responds to potential hazards and safety risks in order to promote the well-being and continuity of the university environment and operations. 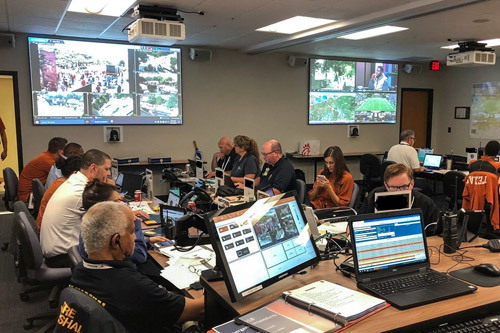 The University of Texas at Austin and Emergency Preparedness employ a wide variety of tools, including text messaging, to make sure everyone on campus is informed during an emergency event. This system will send a text message to the number you provide in the event of an emergency event. During an emergency or technical outage at the university, please refer to this information for updates, additional assistance, and communication outlets. For details on how to respond during an emergency event, refer to the university's safety protocols. Updates on situations will be posted regularly on the emergency site. If you are on campus late night and need a ride, catch one from Lyft -- the exclusive provider for UT Austin’s Night Rides program! 7 days a week from 11 p.m. to 4 a.m. 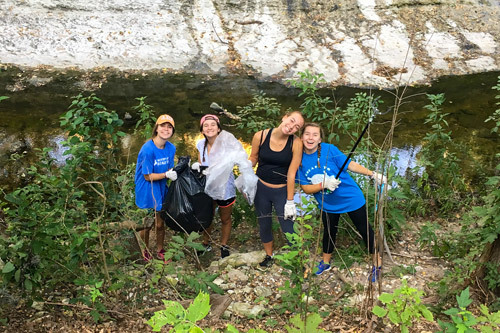 The University of Texas at Austin takes campus safety very seriously and continues to evaluate opportunities for improved safety for our students, faculty, staff, and visitors. Below, please find a list of measures UT Austin has taken to increase safety on campus. Also listed are resources you are encouraged to use for your personal safety, and the communication tools used to communicate with faculty, staff, and students. Since May 1, 2017, increased police patrols by UTPD, Austin Police Department and the Texas Department of Public Safety. These law enforcement partners have also increased patrols west of campus.